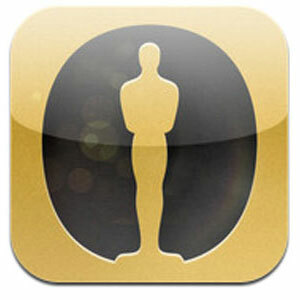 Home Advices Application iPhones Oscar Ceremony Is Too Close… Are You Ready? Oscar Ceremony Is Too Close… Are You Ready? Are you ready for Oscar Ceremony? Probably you need to download the official Oscars application for 2012. you can predict the winners starting with nominations! You will stay up-to-date on all things that are going on to the 84th Academy Awards. During Oscar season, you have the opportunity to access complete nominee lists, trailers, buzz worthy videos, hosted specials on fashion and nominated films/actors, etc. But the main thing is what is going on Oscar night – 26th February 2012 – you can get the ultimate insider’s view of Hollywood’s biggest night with more than a dozen live backstage and Red Carpet video streams! Of course the cameras are on the Red Carpet, in the Kodak Theatre and at the ultra A-list after party, the Governor’s ball, but the application is the perfect companion to have when you watch the show on TV because it has more cameras than anywhere else! After you download the application, you are a virtual member of The Academy with insider information, the entire Oscar buzz, a first person view of the Red Carpet and exclusive backstage access to Hollywood’s biggest night. After you switch the application in Watch mode, you can just sit back, grab the popcorn and enjoy with live hosted experience on the Red Carpet and even in BACKSTAGE. If you switch to Direct mode, you can pick any of six cameras vantage points and zoom in to whatever action you want to see. Oscar ceremony is approaching, you need to hurry up and get ready for it!